Call it the anti-Shakespeare in Love. Call it the more cultured cousin to Inglourious Basterds. Just don't call Anonymous a fact-based story. There have been many speculations advanced that William Shakespeare actually did not write the countless classic works attributed to him, but the conspiracy theorists can't quite agree on the true identity of the genius behind such works as Hamlet and Macbeth. Among the suspects are Christopher Marlowe, Francis Bacon and Stephen King (well, OK, maybe not), but perhaps the most popular alternative is Edward de Vere, the Earl of Oxford. Anonymous, directed by disaster-flick specialist Roland Emmerich (2012) and written by John Orloff, takes that ball and sprints with it. 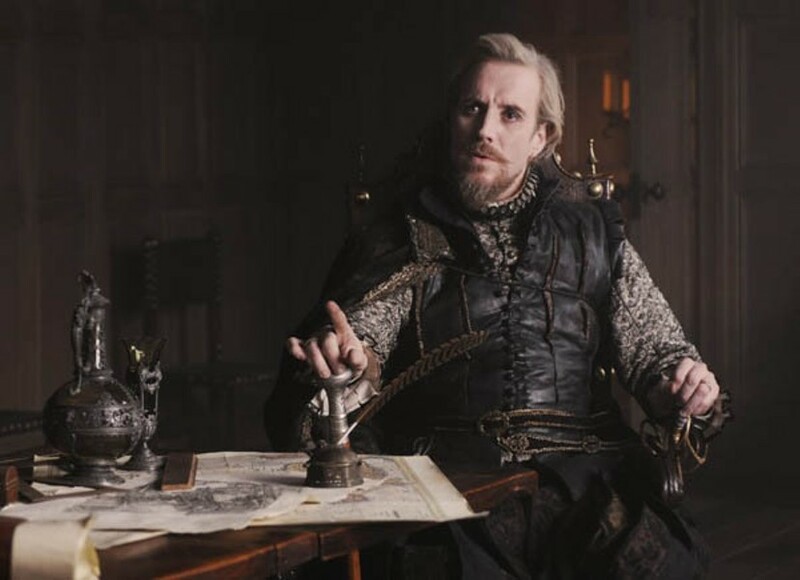 In this picture, the Earl (Rhys Ifans) yearns to take pen to paper, but his high standing prevents him from doing so. He asks accomplished playwright Ben Jonson (Sebastian Armesto) to front for him, but when Jonson balks, an obnoxious and illiterate actor named William Shakespeare (Rafe Spall) jumps at the chance to take credit. More than simply focusing on these writers guild disputes, Anonymous also moves through the years to chart court intrigues, particularly the Earl's dealings with a lusty Queen Elizabeth who seemingly has more (illegitimate) children than Kate Gosselin and Octomom put together (Joely Richardson plays the young queen while her real-life mother Vanessa Redgrave plays the elderly Elizabeth). Lively in most spots, draggy in others, Anonymous seeks to make a name for itself with its controversial stance but will most likely end up getting buried in a pauper's grave by the season's more high-profile titles.